Sailor Crescent Moon. Sailor crescent is a sailor scout.She is about Rini's age.She is also Serena's sister, Princess Pricilla on the moon kingdom, and in the time they live in now. Her fav color is Hot pink, And her mother ( কুইন Serenity) Gave her the রামধনু তারকা crystal.. HD Wallpaper and background images in the Sailor Mini moon (Rini) club. 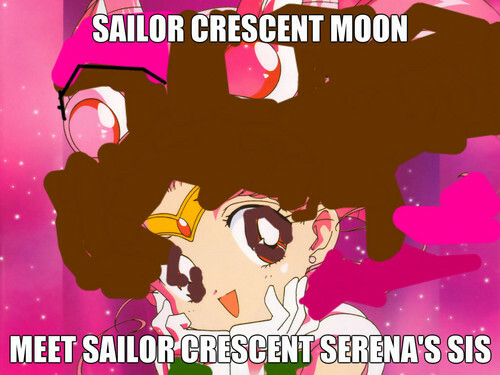 Sailor crescent is a sailor scout.She is about Rini's age.She is also Serena's sister, Princess Pricilla on the moon kingdom, and in the time they live in now. Her fav color is Hot pink, And her mother ( কুইন Serenity) Gave her the রামধনু তারকা crystal.